IS IT TIME TO ADOPT ZERO BASED BUDGETING? Many Community Associations adopt their annual operating budget based on historical data while maybe adding a few percentage points to various budgeted line items from a proceeding year. During sound economic times, this method is acceptable. As Community Associations face more economic uncertainties, a better operational budget approach may be warranted. Gaining popularity, when presented by Texas Instruments during the early 1970's, was a budgeting methodology entitled Zero Based Budgeting. This method was later adopted by many leading economists. Zero Based Budgeting (ZBB) is a method of budgeting which requires a justification of all planned operating expenditures for each budget year. It defers from traditional incremental methods which only require an explanation of the amounts needed in excess of the previous year's funding. For example, if your association were to adopt ZBB, each line item would have to justify its funding every year. That is, funding would have a base at zero. A budgeting committee, or manager, would have to show why each item's funding would help the association toward its goals. Zero based budgeting is especially encouraged because expenditures can easily run out of control if it is automatically assumed that what was spent last year must be spent this year. Requires you to justify and prioritize all activities before allocating any resources. All your business forecasts should start from a zero base by justifying all expense requests in complete detail. The zero base is indifferent to whether the total forecast is increasing or decreasing. Requires you to group all relevant activities into modules. You justify each in terms of the association's overall objectives. Requires you to rank line items in order of priority. Zero-Base Budgeting is a technique that helps to enhance good planning and decision-making for your association. In other words, it reverses the working process of the traditional forecasting methods you are accustomed to. In the traditional incremental approach, an association needs to only justify increases over the previous year’s projections. This means, what has been already spent is automatically sanctioned. In the case of ZBB, you do not make reference to the previous levels of expenditure. You must review every business function comprehensively and all associated expenditures rather than approving only increases. 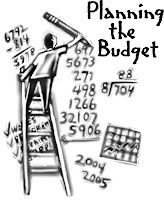 The term "Zero-Based Budgeting" is sometimes used in personal finance to describe the practice of planning for every dollar of income that you receive, and then adjusting some part of your plan downward for every other part that you may need to adjust upward. The budgeting process speaks volumes about your communities strategy and could make the difference between success and failure of your association. Isn't it time to make every dollar count?